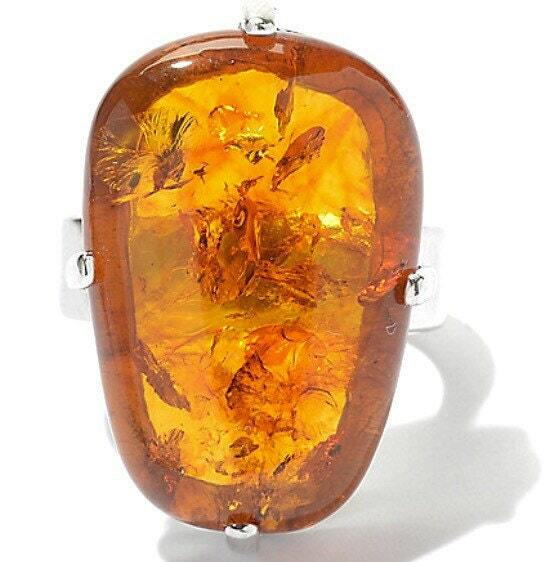 Bold and Golden! 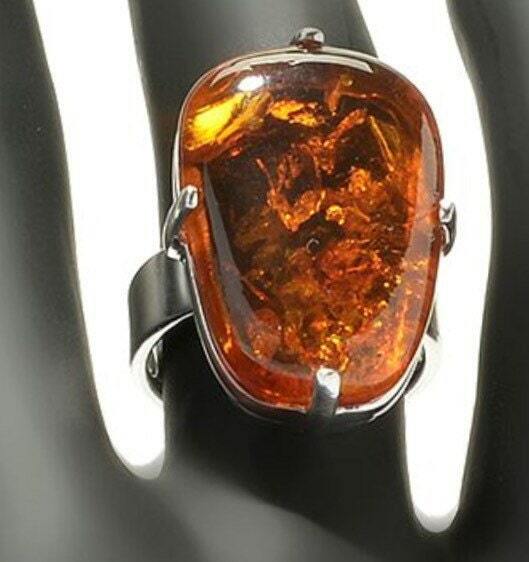 Sterling Silver 24 x 16mm Oval Amber Elongated Ring. 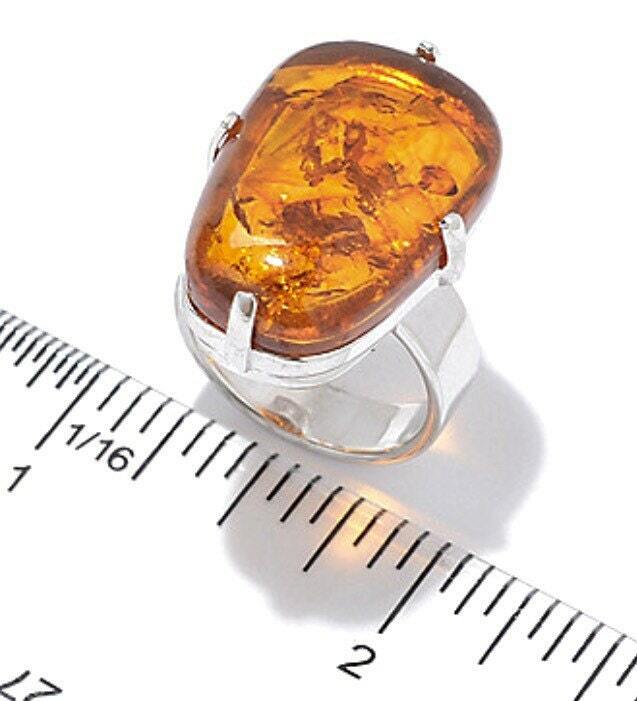 Sterling Silver 24 x 16mm Oval Amber Elongated Ring. 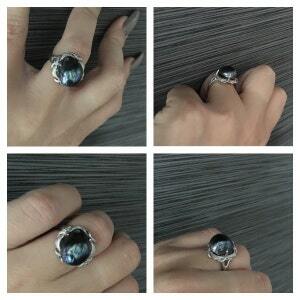 Bring an element of nature to your style! 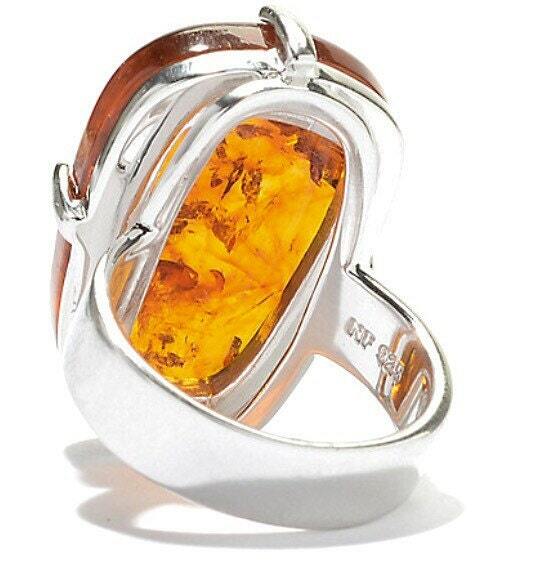 Crafted in polished rhodium over sterling silver, this lovely ring captures the eye with one large oval shaped orange amber. 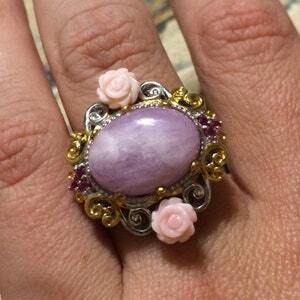 The translucent gemstone gleams with an organic wonder that it holds within. 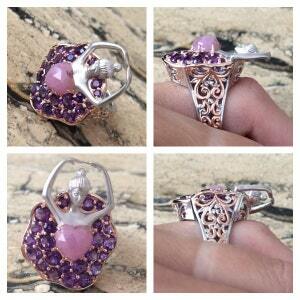 The gemstone is set very simply and elegantly set in a four-prong setting and a polished shank. 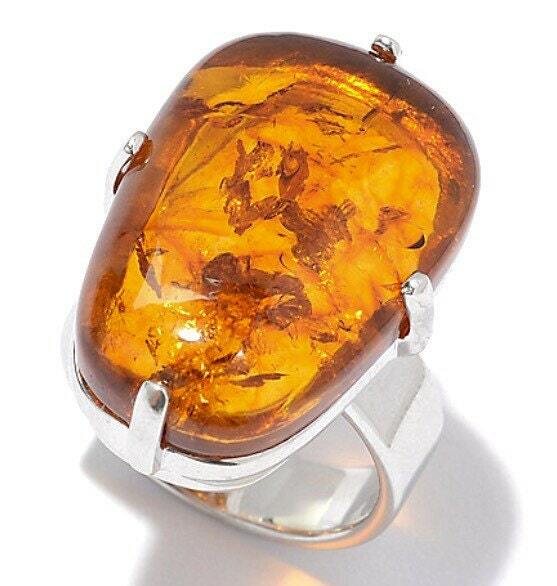 BE Bold ! 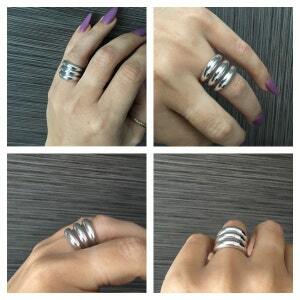 3-Row Stacked Sterling Silver Band Ring!